The Syrian Ministry of Tourism has a new ad campaign to promote the country. Diana Darke, a travel writer who sometimes lives in Damascus explains how pictures of beautiful beaches further Assad's propaganda aims and how some civilians are using the remains of tourist industry to survive a civil war. "Syria: Always Beautiful." It's an ad campaign that is in stark contrast to the images of Syria seen on the news on a near-daily basis. Over the past few weeks, the Syrian Ministry of Tourism has been posting a series of videos to YouTube as part of a new effort to draw tourists to the country. Diana Darke has written three travel guides for Syria, and as she tells Day 6 host Brent Bambury, the advertising campaign is an important part of Bashar al-Assad's propaganda machine. "It completely conveys the image that he is totally in control," says Darke. "And it's true that the state ministries are still functioning, and people are going into their offices every day and doing their best. And they are trying to promote Syrian tourism." Darke explains that Syria is largely trying to draw religious tourists to parts of the country, particularly pilgrims from Iran. She says there is some domestic tourism, for people who are too poor to leave the country but who may holiday at the Mediterranean beaches along Syria's coast. "Obviously these videos are not aimed at them, at all. I mean, this is entirely a propaganda exercise by Assad to show that, increasingly, he is in control." "They've always tried to project this image that Syria is open for business, everything is carrying on. And of course, weirdly, in certain parts of the country things are carrying on as normal," says Darke. 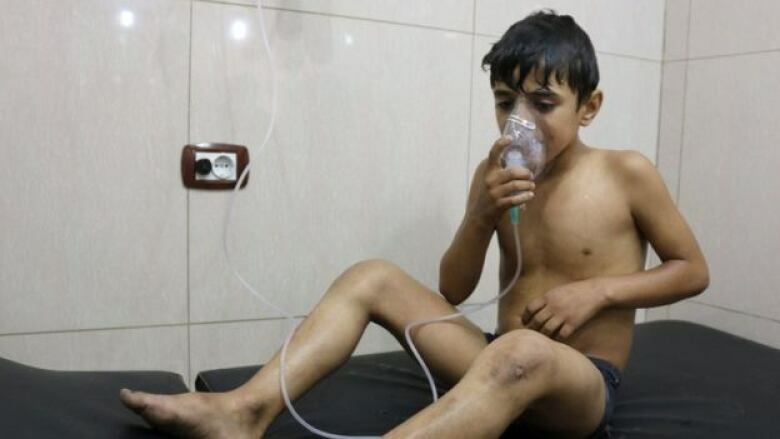 The ad campaign comes as pro-Assad forces allegedly launched a chlorine attack in Aleppo, and as images of children made front pages as they struggled to breathe while seeking treatment in hospital. 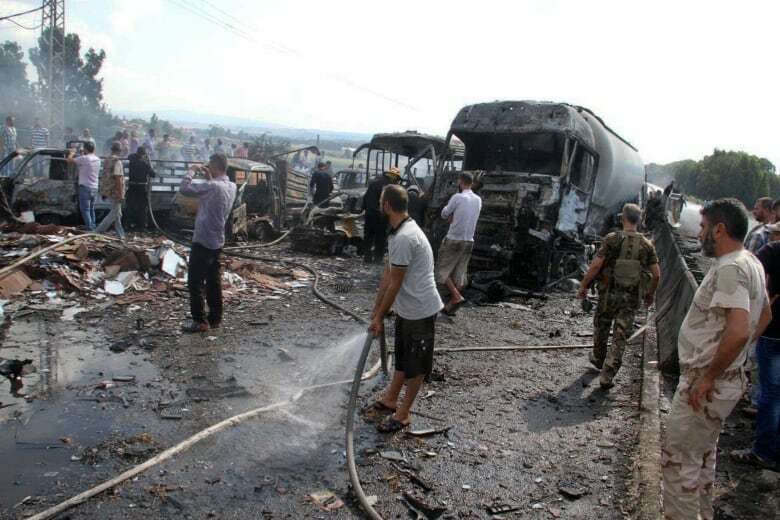 One of the YouTube videos shared by the Ministry of Tourism shows panoramic views of the beaches of Tartus, a coastal town that was rocked by two bombs earlier this week. Darke says the Ministry of Tourism videos are meant to show the international world that Syria is a reasonable place, where people are on the beaches and where everything is still functioning. Darke wrote three travel books about Syria before the civil war, and she says that tourism was extremely important to the country. "It was a real boom period, there were over eight million visitors in 2010. Everybody was investing in new hotels. Syrians had put their life savings into restoring old palaces, turning them into boutique hotels." Now those hotels are housing people who've had their homes destroyed, so hotel rooms designed for a couple of tourists are now housing entire families. Despite the images of devastation coming out of Syria, Darke can understand why the government is running this tourism campaign. "It's been very noticeable in the last couple of months, there's been a whole rash of new cultural initiatives. The regime is obviously very keen to show that it's reviving all the cultural aspects which have perhaps been neglected over the past five years. Because there's a sense that this war may be drawing to an end, and Assad wants to be in the strongest possible position to project himself as the guy who's going to lead the country." Should I read it? Becky Toyne reviews Jonathan Safran Foer's "Here I Am"